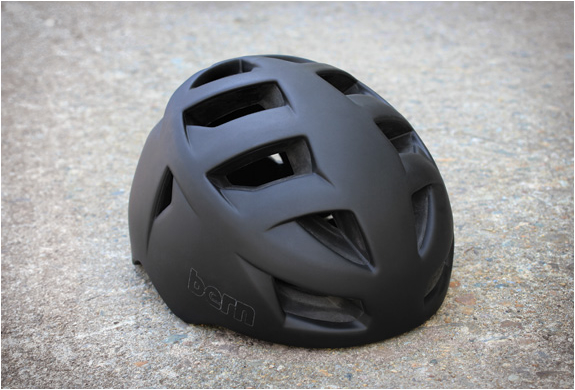 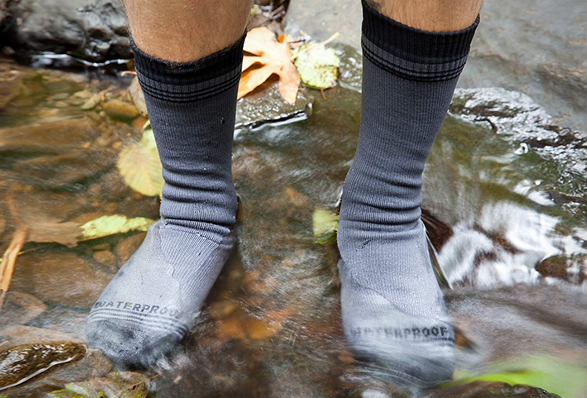 Don´t let cold wet feet ruin your outdoor fun! 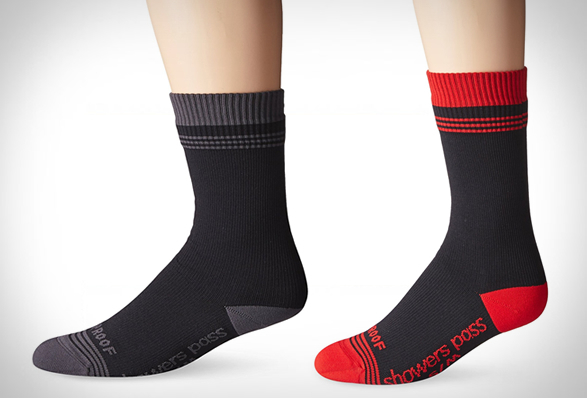 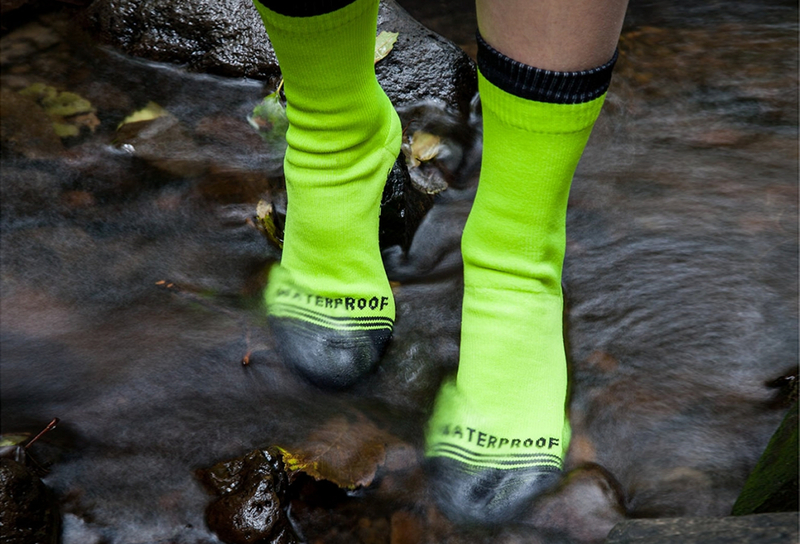 Staying dry is important whether you’re riding to work, running, hiking, or doing any outdoor activity in the rain, these socks by Shower Press are fully waterproof thanks to 3-layers: a wear resistant knit exterior (feels like a regular sock), a waterproof breathable Artex membrane, and a Merino-wool moisture wicking anti-bacteria lining. 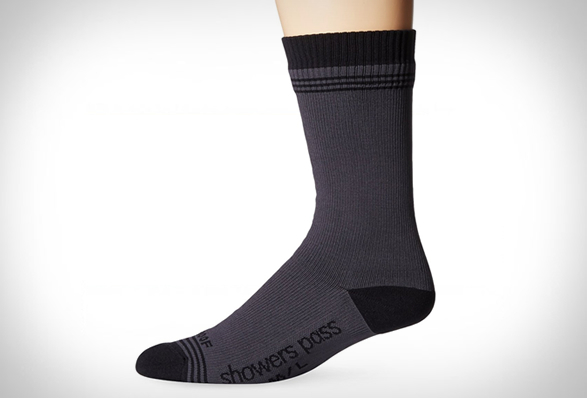 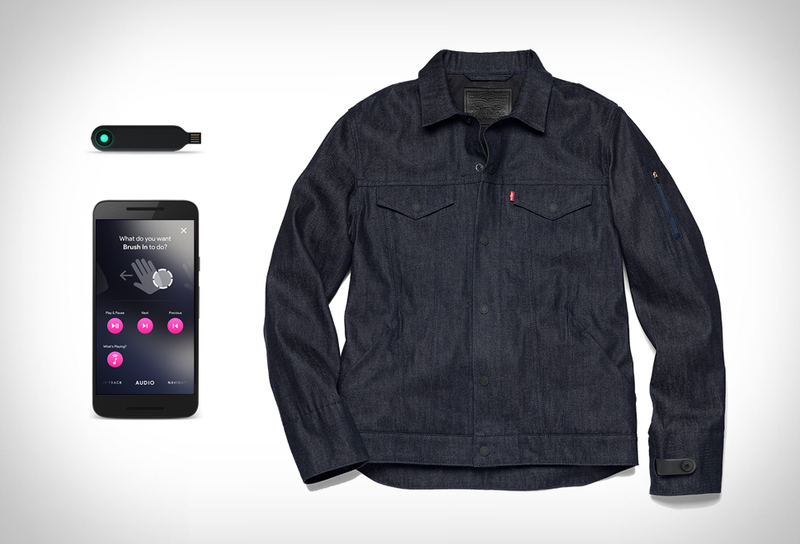 The end result is a sock that feels like a wool sock but protects like a rain bootie.